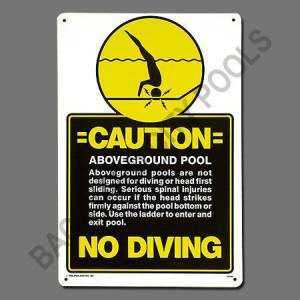 *CAUTION* ABOVEGROUND POOL. Aboveground pools are not designed for diving or head first sliding. Serious spinal injuries can occur if the head strikes firmly against the pool bottom or side. Use the ladder to enter or exit the pool. NO DIVING!